JPA Landscape and Construction has been in business since 1981, providing landscape maintenance services to the San Francisco Bay Area. Not only does JPA Landscape offer traditional landscape services, such as mowing, edging, trimming and watering, we also provide sustainable irrigation installation and maintenance, insect and pest control, exterior building maintenance and construction, as well as seasonal color changes. JPA Landscape and Construction is not just your average landscape company. We are passionate about water conservation and we pride ourselves on our knowledge and optimization of the latest SMART controllers. 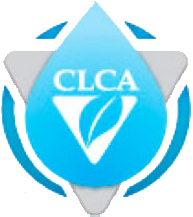 Ask about our water audit and irrigation inspections for comprehensive landscape management. JPA Landscape and Construction is impacting every corner of the region. With five locations in the Bay Area, we have a skilled staff that is trained and certified to consult, install, and maintain a landscape that is not only beautiful, but suitable to its climatic environment. JPA Landscape and Construction creates satisfied clients through customer service, high standards, and an unparalleled level of expertise in landscape maintenance. JPA’s proactive and reliable approach to landscape management means that you will have a partner in the good stewardship of your property. JPA is a great company to work for because we offer excellent pay, continued education, a full benefits package and above average bonuses! If you are interested, please email your resume to HR@jpalandscape.com or fax it to 925-960-9620. If you have any questions, please feel free to call 925-960-9602 and ask for our HR department. The Account Manager is responsible for working with our customers and making sure that their needs are met. They coordinate with the maintenance crews in ensuring that each property in his/her area is getting the attention it needs. The Account Manager conducts walk-throughs of the properties, meets with clients and homeowners, and provides proposals for extra work and general maintenance. The Area Manager is responsible for landscape maintenance for their area and ensuring that each property is getting the attention it needs. The Area Manager conducts regular walk-throughs and reviews of the properties, meets with the crews to ensure training safety and the continuing education of the team in all aspects of their job. The Area Manager’s main role is ensuring that the properties we manage are representative of JPA Landscape & Construction, Inc. The Field Supervisor has responsibility over multiple maintenance teams and is assigned to set accounts. They monitor the execution of work orders, ensure standards are being met, and promote the continued training and safety of field operators. The Maintenance Crew Leader is the direct manager in the field. He attends to the details of landscape maintenance and getting the job done. The Maintenance Crew Leader is on site with the crew to ensure proper safety equipment is worn and equipment is in proper condition. The Maintenance Crew Leader communicates directly with the Field Supervisor or Area Manager. Entry and mid-level positions are available to those wishing to learn or enhance their current skills. Through continued training, Gardeners will learn the art and science of horticulture while maintaining some of the most beautiful communities in the Bay Area. Like other skilled professions such as electricians and plumbers, the Irrigation Technician is an expertly trained craftsman. 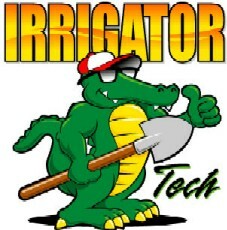 The Irrigation Technician is responsible for repairing, inspecting, recommending enhancements, and documenting some of the most sophisticated irrigation systems in the industry. JPA invests into their continued education; keeping them above the technology curve. The Customer Service Representative is the primary liaison between the field and the client. The Customer Service Representative creates work orders, proposals, and various reports for our customers and manages relationships with partnering Property Management companies.